BITS ME Admission 2019 (HD) – BITS, Pilani has released the notification for admission to Higher Degree (HD) programs for the academic year 2019-20 at Pilani Campus, Goa Campus and Hyderabad Campus. Application form for the same has also be started and are available online at the official website. Interested candidates can read the complete information of BITS ME Admission 2019 such as application form, eligibility criteria, application fee etc. on this page. Latest: Candidates can apply as well as check their application status now, Use the links given below. For BITS Admission to Higher Degree programmes leading to M.E. / M.Pharm candidates have to appear in the computer-based Online tests conducted by BITS at designated centers in different cities. Admissions to all the higher degree programmes of BITS, Pilani, at its Pilani campus, Goa Campus and Hyderabad Campus for the I Semester 2019-20 will be made on the basis of a Computer based Online test conducted by BITS, Pilani. Note: Candidates shortlisted for the M.Phil. programme will be announced on June 3rd. The test and interview for these candidates will be on July 19, 2019 and admission offers will be made on July 20, 2019. Interested and eligible candidates can apply through the prescribed application form available online at www.bitsadmission.com and take the printout of the filled form. Candidates can also fill the online application form of BITS ME Admission 2019 (HD) through the direct link, which is given below. Click Here to fill the BITS HD Application Form 2019. Click Here to check the application status. By cash payment at all ICICI Bank branches in India along with a specially generated Pay-in-Slip. candidates can choose to pay through Cash at ICICI Bank branches. You have to just download the specially designed Pay-in-slip from the website on the payments page and walk-into any ICICI bank branch along with cash. The bank shall deposit cash and give you a confirmation receipt for the same. Payment through Net Banking enabled accounts of Indian banks using Online Payment Gateway. participating banks list will be displayed once you choose to pay through this mode. Candidates can make payment through Credit Card/ Debit Card/ Net Banking/ Paytm Wallet. Candidates who wish to write BITS HD Test are to give their preference for three Test centers. The completed application form along with the prescribed application fee should be submitted online by the prescribed deadline. The detail on modes of Fee Payment is available at the website while applying online. Portal to apply online opens on March 18, 2019. Note: Those who give preference for M.E. Software Systems have to appear in BITS HD test, and GATE/GPAT score has no relevance in deciding the merit position of the candidate. M.E. Civil (specialization in Infrastructure Engg. Note: Students coming with Integrated First Degree of BITS may be considered for admission to any M.E. Programme with the requirement of taking additional courses. The duration in these cases may be more than the normal duration and will be determined on a case by case basis. Candidates who have registered for BITS HD Test- 2019 should reserve their Test date and time. It will be done on a first-come-first-serve basis. Enter the personal details below and click on the ‘Proceed’ button and follow the instructions to reserve your test date and time. Requests for change of test centers will not be entertained. Further, once the candidate reserves a date and time, no changes are allowed. Each candidate who registers for the test and time can download a ‘Hall Ticket’ from the website as per the schedule given above. Candidates with the hall ticket only will be allowed inside the test centers. Admit Card contains important details regarding candidate’s name, test center and time. Candidates with the hall ticket only will be allowed inside the test centers. Candidates should bring a pen for the purpose of rough work, signing etc. Blank sheets for rough work will be provided if required. Candidates can bring a calculator without any network connectivity/programmable feature. Candidates are not allowed to bring any other personal belongings such as mobile phones, iPods or any other electronic gadgets. The test will be a computer based online test conducted by BITS Pilani at dedicated centers at different cities of India. Computer-based online test means the candidate sits in front of a computer and the questions are presented on the computer monitor and the candidate submits the answers through the use of keyboard & mouse. Each computer is connected to a server, which prepares the question set and delivers it to the candidate on the computer. Test II is for Students applying for all higher degree programmes except those who are applying for only Software systems. The Test II subject for a student is based on his/her qualifying degree programme. This paper will attempt to test student’s grasp of the basic subjects of his discipline. The discipline courses of different degree programmes of BITS have been used for constructing the questions. This Special aptitude test for Software Systems is required for only those students who are applying for M.E. Software systems. For all the above tests all questions are of objective type (multiple choice questions); each question with four answer choices, only one being the correct choice. Each correct answer fetches 3 marks, while each incorrect answer has a penalty of 1 mark. No marks are awarded or deducted for questions not attempted. While the candidate can skip a question, the computer will not allow the candidate to choose more than one option as the correct answer. The questions will be selected at random from a large question bank. Different candidates will get different question sets. An expert committee will ensure that the question sets are of comparable difficulty level, content, question type etc. In this matter the decision of the expert committee will be final and binding on the candidate. All the questions and instructions of the test will be in English only. The planned test centers are in the following cities. The final list of centers and the operating days at each center will depend on the number of applicants and their preferences. Candidates have to give three preferences of examination center and will be allotted to one of the centers. Candidates will be informed about the test center allotment through BITS admission’s website. 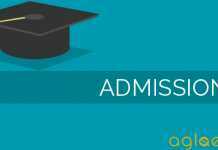 Admission decisions to M.E/M. Pharm programmes will be released. For making final admission offers two separate merit lists will be prepared for each degree program; one based on GATE/GPAT score, and the other based on Marks obtained in BITS HD test. In each program, 50% of seats will be filled through GATE/GPAT scores and the other 50% by BITS HD test marks. The admission committee will announce a cut-off score in each category, based on the applications received and the seats available. These details will be announced at the time of admission offers. If any seat in one category is not filled, it will be allocated to the other category. The final decision on this will be taken by the Admission Committee and will be binding to all. Admissions to the M.E. Software Systems programme will be made only through the BITS HD Test. Details of the Software System BITS HD test are given in information brochure. Admissions will be made on the basis of merit position of students in the Software System BITS HD test. For More Detail Regarding BITS ME Admission (HD) – Download Information Brochure.